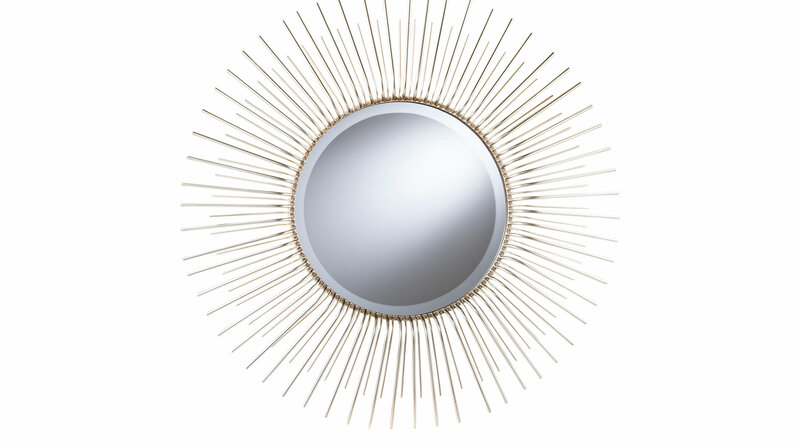 Spread your sunshine with this round decorative Teppert wall mirror. Metallic champagne gold spindles erupt from the center, bouncing light across a double layer sunburst wall mirror. Round out your wall scape with this midcentury, glam mirror over the mantel, hallway console, or vanity desk.